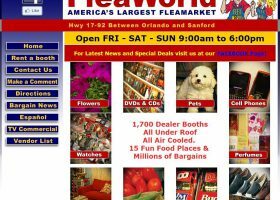 The July 4, 2015 article published in the Orlando Sentinel online edition announced the closing of Flea World on August 30, 2015 instead of the originally announced date in Janaury 2016. The article features interviews with patrons of the sprawling flea market and entertainment landmark. Demolition of the facility began in May 2016. 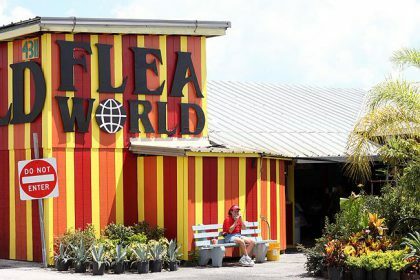 Flea World in Sanford, Florida, said to be America’s Largest Flea Market was to close in January 2016, but it was announced that Sunday, August 30, 2015 will be the last day of business for the 38 year old facility. Flea World’s official address is 4311 S. Orlando Drive (Highway 17-92 between Lake Mary Blvd. and Ronald Reagan Blvd.) in Sanford. Fun World closed after 33 years. LOOK at this video shot recently showing the vacant booths and entertainment venues. 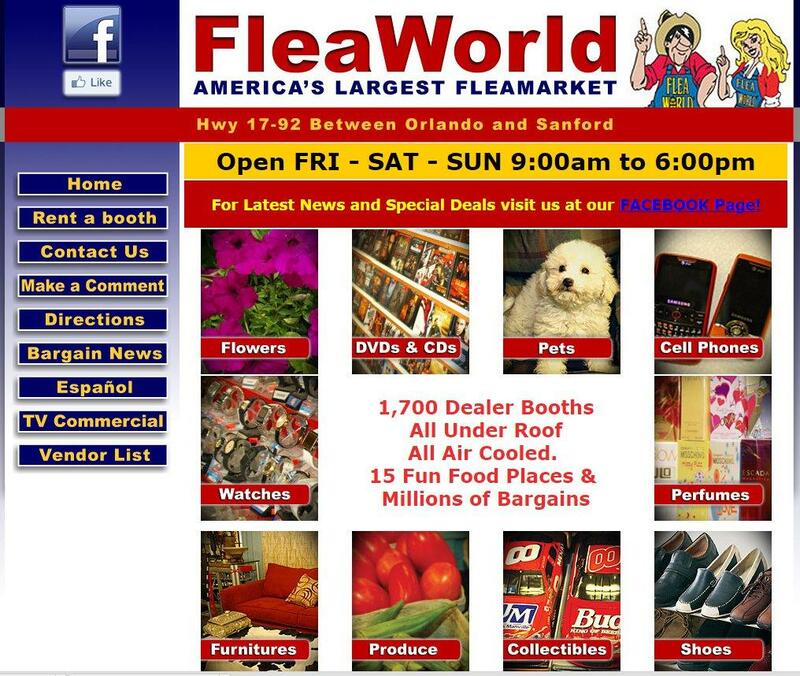 Final view of Flea World's homepage before they close on Sunday, August 30, 2015. 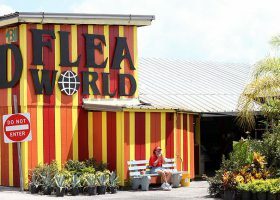 Shot of the iconic Flea World front entrance with the vertical stripes. Article featured on the front page of the Wednesday, September 2, 2015 edition of the Sanford Herald. 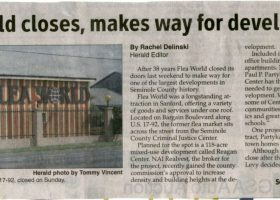 "Demolition to begin at Flea World" - Article from the May 13-15 edition of the Sanford Herald.